In addition to this item, Coker Tire Company offers a great selection of tire fitments for antique motorcycles. 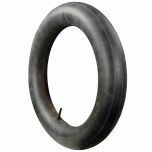 Coker Motorcycle tires are available in may popular sizes and styles and are backed by our life of the tread warranty. 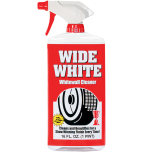 Whitewall Motorcycle tires are available in 5.00-16 and other very popular sizes in this product line. Tread and sidewall designs vary by size and can be viewed individually in our web store. Please note that dimensions listed tread width, section width and overall diameter are non-scientific and based on an inflated tire, mounted on a wheel. Dimensions may vary due to rim width and inflation pressure. hi,I have a 1916 indian powerplus with tire marking 28x3 .Can a 28x2 1/2 be used a it? A 28x3 tire must still be used. A 28x3 tire fits a 22" rim, while a 28x2 1/2 tire fits a 23" rim. Will this tire fit a 23 inch x 3 inch rim? If not, do you sell rims for this tire?